The staff at Monash Sport not only work in health and fitness, they live and breathe it. 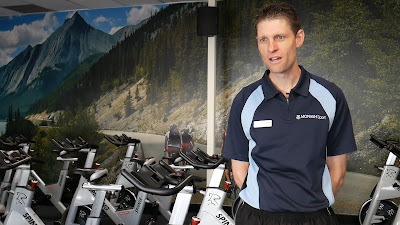 Shane Adams is the Health and Fitness Operations Coordinator at the Monash Sport Clayton Fitness Centre, and recently completed the Port Macquarie Ironman, his first attempt at a full ironman distance event. The Port Macquarie Ironman consists of a 3.8km swim, 180km bike ride and a 42.2km run, which ultimately took Shane 13 hours and 35 minutes to complete. Before going into the event, Shane was excited at the prospect of a new challenge after 15 years of competing in triathlons. "I'd been doing a lot of sprint distance triathlons, and also competed in a number of Olympic distance events as well, so for me the next step forward was to move into the longer course triathlons. I had done one half Ironman event, and thought from there thought I'd like to give the full Ironman a go," Shane said. An experienced campaigner in the sport, Shane knew a well planned preparation was key to bringing his best come event day. "I made the commitment about 12 months out from the actual event, so I had a good length of time to map out a full training plan. That involved doing a fair bit of research, looking at what other athletes had done as far as their preparation went for the longer course training," he said. Shane would chop up his training into three phases in the months leading up to the event. First a preparation phase, which includes lighter work loads and general preparation for an upcoming event. A middle phase where the training loads are increased to match the distance of the event he is training for. And a tapering phase stretching two-three weeks before the Ironman, where the training level drops but intensity increases, leaving time to rest up before the event. 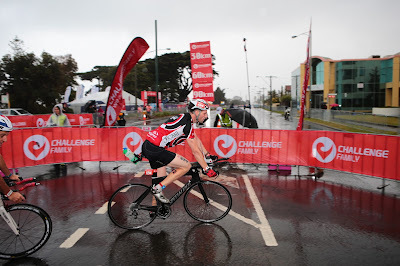 Over a 'standard' week Shane will swim twice, ride 60-120km, run once and do two strength training sessions. He enjoys every second of it, and thrives on the opportunity to bring the best out of himself. "In the professional ranks there's certainly ladders and rankings and so forth, but for myself really it's more just recreation," he said. "I'm more of an age group warrior I suppose you could call me, and it's more just for enjoyment. I have a couple of close friends that I compete against and we get quite competitive with each other, but at the end of the day it's all just a bit of fun and it's just about finishing." "Tips I could give people that are looking to move into the sport would be first and foremost, just to enjoy it. Don't take it too seriously at the start, just go out and have a bit of fun with it." Working at Monash Sport for the last four years, Shane finds working with the Monash community very rewarding, and feels the Health and Fitness Team at Monash Sport have a lot to offer. "I like to see people achieve their goals, which is very rewarding as well. So when you write a member up a program, and over a period of time you see them achieve the goals they've set out to achieve, it's something that I get a great buzz from," Shane said. "Look all our trainers have a fantastic wealth of knowledge, I think as a team we're into a lot of different sports, and a lot of different activities. So as a member, to be able to draw on the wealth of knowledge that all our trainers have in a whole heap of different areas." "And I think from a member point of view it's really worth while coming in and talking to one of the trainers, because those trainers can really help you develop and progress, and get the best out of yourself."